“I am the true vine, and My Father is the vinedresser. Every branch in Me that does not bear fruit He takes away (lifts up); and every branch that bears fruit He prunes, that it may bear more fruit. You are already clean because of the word which I have spoken to you. Abide in Me, and I in you. As the branch cannot bear fruit of itself, unless it abides in the vine, neither can you, unless you abide in Me. Every believer longs to hear God voice, to hear Him speak to them. But do you have to take classes in learning to hear His voice in order to know when He is speaking to you? Does the Bible give us any clues? Yes! How did we become sons of God? Galatians 3:26-27 says: “For you are all sons of God through faith in Christ Jesus. For as many of you as were baptized into Christ have put on Christ.” In Galatians 4:6-7 he goes on to say, “And because you are sons, God has sent forth the Spirit of His Son into your hearts, crying out, “Abba, Father!” Therefore you are no longer a slave but a son, and if a son, then an heir of God through Christ. We became sons and daughters of God by faith in Christ. Consider what even the tiniest, weakest little infant knows instinctively about its her mother. She can be among a room full of other people, voices all clamoring together in a jumble of noise. Yet even the newest of new-born babies knows his mother’s voice. He can pick her out of any crowd. How? From the moment his little ears were formed, he continually, primarily heard his mother’s voice. His tiny ears are keenly attuned to every tone, every nuance, and every inflection because he has been listening to it for nine months. His mother is no less instinctive. A young mother can sleep peacefully through the wildest of storms raging outside, loud thunder crashing. But if that little baby makes even the tiniest squeek or the weakest little cry, she is instantly awake and on her feet, rushing to her child’s side. 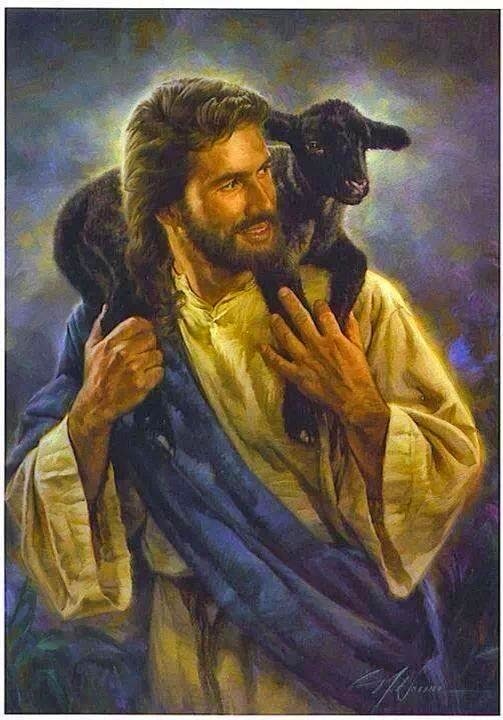 That is just like our wonderful Jesus! Remember when He was fast asleep in the stern of that boat during the wild storm on the Sea of Galilee? It was so bad, it threatened to capsize the disciple’s boat. That didn’t bother Him one bit. But at the cry of His loved ones, He was instantly awake and on His feet. He calmly stood, rebuked the wind and waves, and the storm immediately ceased. We are always calm and in perfect peace when we know that Jesus has everything under control. We know we are safe with Him in the boat! Church, you don’t have to jump through hoops to hear your Daddy’s voice. You don’t have to take a class in knowing how to hear Him. You know His voice. He says so. The Holy Spirit quickens our spirits when we hear the truth! 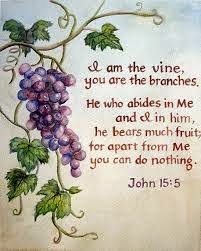 He also said, “I AM the vine, you ARE the branches.” He didn’t say, “I am the vine, TRY to be the branches.” You simply “ARE” by abiding and resting in Him. How do you abide in Him? Focus on Jesus. Fill your thoughts with the KNOWLEDGE of how much you are LOVED by reading about it in the scriptures. Listen to anointed teaching. After that, listening and hearing is effortless! You will realize that you don’t really have to learn to hear His voice, you already know how…..and it’s the sweetest sound in the world! It fills you with peace and joy and it settles your heart. What a wonderful Savior we have! That is how He takes care of us. That’s how much He loves us. All we need to do is rest in Him. KNOW that we are His beloved and we will KNOW instinctively what every baby knows. You don’t need to learn to hear Him: You Know His Voice. I hope you were even more impressed with Jesus! He is why I write.